senthil557, 28 May 2014Friends please don't buy this phone it has many features missing no email (only threw browser)... moreThank you for your comment. So, which feature phone do you recommend us to buy, apart from That? do this have a file manager bcoz series 30 doesnt have it??? My question to the owner of this set. What is the call quality of this set. I used nokia's cheap model 1616. But when talking on phone, other person beside me can hear everything. Means sound is so loud like um activated loudspeaker. So every person beside me can hear everything. I have to talk alone in room or place for this reason. This phone has very good call quality with both sides having no trouble what so ever. Other thing worth mentioning is the over all speed of series 40 has improved dramatically. Last phone I checked was Nokia 515 with all the bells and whistles of a luxury candy bar and it was hopelessly pathetic to be exact. Anyway it's a healthy improvement. Daniyal khan, 24 May 2014Plus points: very slim, stylish, very light weight, bigger screen , brighter as well, feels... moreHi please tell me can we change themes or download themes from web and use in it....and which format of themes it supports? Mohsin, 22 Apr 2014specs are vulnerable like 220........ must support 3g and wifi.........then it will be good one1000 phone book is more than enough ... how many frnd do u hav? ????? can it record calls and save also ? 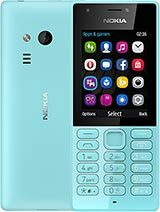 how to record call in this nokia 225 ? by going in which option in Menu ? for the love of god why 2g still being made?, Cmon Nokia chuck us a few 3G candy bar out.